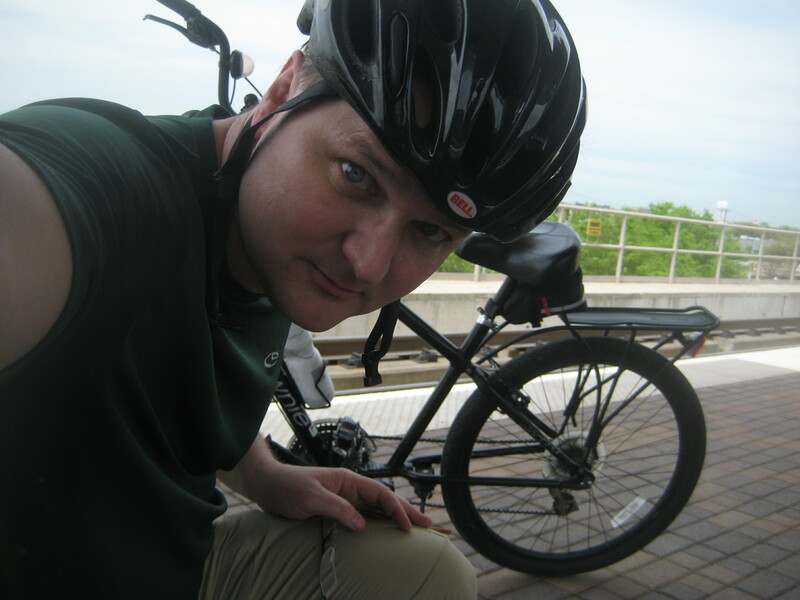 Going multi-modal to the Arts Festival. My rockstar blogger cyclist press shot. Here’s a nice, narcissistic “look what I did today” kind of post. Took a Townie ride over to the light rail station (with a stop off for pizza), down to Mockingbird Station, down the Katy Trail to Downtown, over to Deep Ellum for the Arts Festival, and back. Got 18 miles of Townie riding. Saw some cool art. Good ride. Had some strange people encounters at the train stations. Nothing violent. Just kind of a bummer. Bad energy, which I deflected/avoided. Saw someone in downtown Dallas roaming around screaming about God and Jesus. Interesting, but not one of the worlds great theologians. Loud voice though. At the Deep Ellum Arts Festival I met up with my old friend Allen, at his booth where he and Allison were selling gourmet spicy dips. Great to see them. There were a lot of people out, and there were at least three stages set up for singers and musicians. I hadn’t been down there in a long, long time, and I don’t think I’ve ever been there during the day. It was kinda funny to see what it looks like in the daylight. 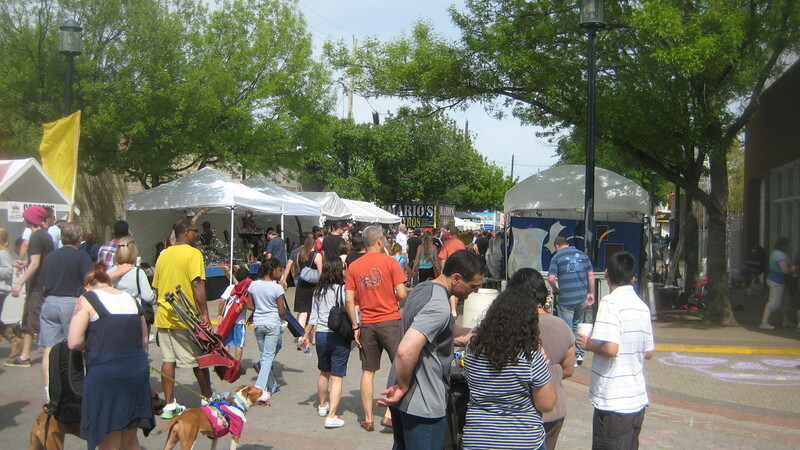 A scene from the Deep Ellum Arts Festival. I’m thinking I will make two mods to the Townie 21. Some 1.5″ tires that are higher pressure and thus faster, and a nicer, harder, better-shaped saddle. The stock saddle is just so squishy — after about 13 miles it just feels terrible. This isn’t a surprise, I’ve done this before. Maybe a nice Brooks? Not sure. Need to look.